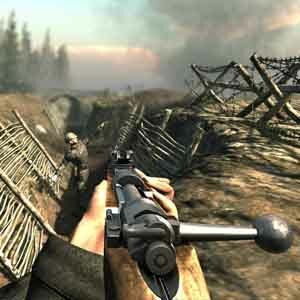 Find all Game Code stores and prices to download and play Verdun at the best price. Save time and money: Compare CD Key Stores. Activate Verdun CD Key on your Steam client to download the game and play in multiplayer. You can participate to these tests by adding comments about your digital download purchase in the store review page. 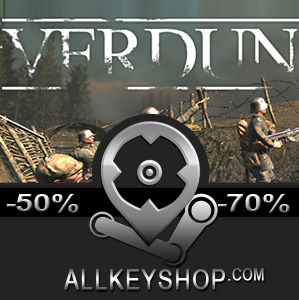 Enjoy the best deals for Verdun CD Key with Allkeyshop.com! 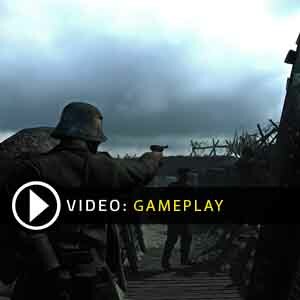 Verdun is quad-based multiplayer first-person shooter video game inspired by the infamous 1916 Battle of Verdun in France. 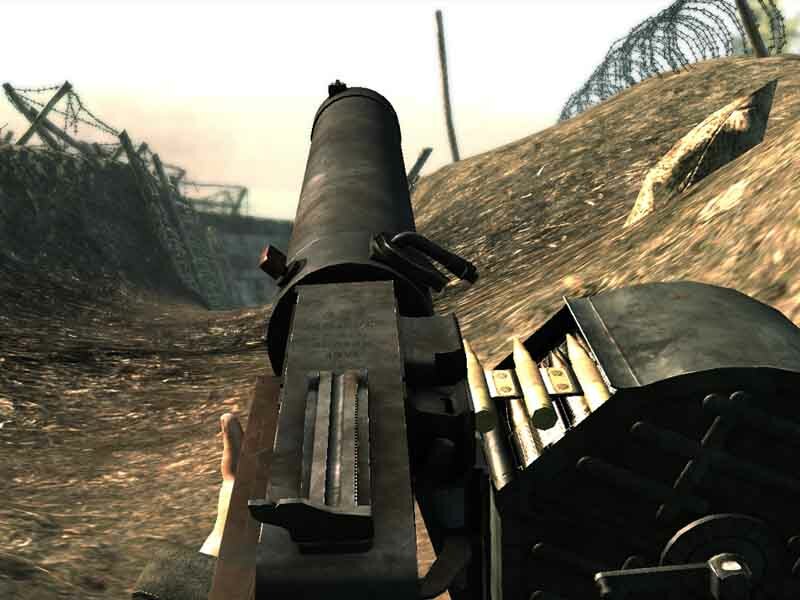 This game is set during World War I and consists of historically accurate period equipment such as weapons, uniforms, and maps based on real battlefields of the Western Front. It was released on the 28th of April 2015 on the Steam computer game platform. The game runs on the Unity engine and was created by independent studios M2H and Blackmill Games. Verdun is a 32-player squad based game set in the trenches of the First World War where the main aim is the capture and defense of trenches. You get to choose one of the current seven squads, each one being based on a specific unit type from the Western Front during the war, such as the French Poilus, German Stoßtruppen or British Tommies. Each squad has a set of abilities and perks based on its type (Line Infantry, Light Infantry or Assault Infantry). Each squad is subdivided in to the classes, 4 per squad. These have different roles such as leading the squad and using their call in (Gas, Artillery or a Recon plane) and then 3 other classes that vary with the squad type. Line infantry get Rifleman, Machine Gunner and Grenadier. Verdun is a ferocious and tense multiplayer shooter, the likes of which we haven’t seen in a long time. A splendid FPS with a great future and it just keeps on getting better and better. Enjoy the scenery and the battles. It’s mostly historically accurate, and comes with a realistic feeling. 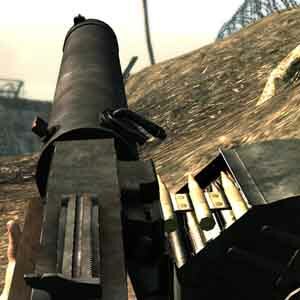 This is what an FPS should be. There are 22 offers ranging from 2.56€ to 39.99€. 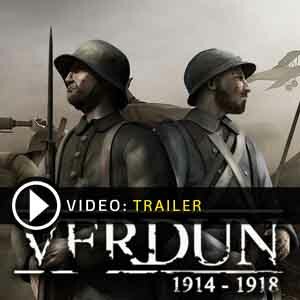 STEAM CD KEY : Use the Steam Key Code on Steam Platform to download and play Verdun. You must login to your Steam Account or create one for free. Download the (Steam Client HERE). Then once you login, click Add a Game (located in the bottom Left corner) -> Activate a Product on Steam. There type in your CD Key and the game will be activated and added to your Steam account game library. EU STEAM CD KEY: Requires an EUROPEAN IP address or you must activate it with a VPN (Virtual Private Network) in order to play Verdun. Might have languages restrictions or language packs. Read the description on the store game page to know if the EU IP is only needed for activation or for playing also (maybe on EU Servers). Most of the stores offer you their help, or show you how to do this with a tutorial to follow. STEAM GIFT : A Steam gift is a one-time transfer you receive. You activate and install Verdun to play on Steam, it is a non-refundable game that stays in your Steam games collection. Please read the store description about any language or region restrictions. EUROPEAN STEAM GIFT : It’s a steam gift for Europe which requires an European IP address to activate and to play Verdun on Steam. Read carefully the store description about region and language restrictions. Funny FPS, whit good map not bad realistic gameplay!